My mom HATES my hair. She thinks it’s too long and once tried to pay me $50 to get it cut! 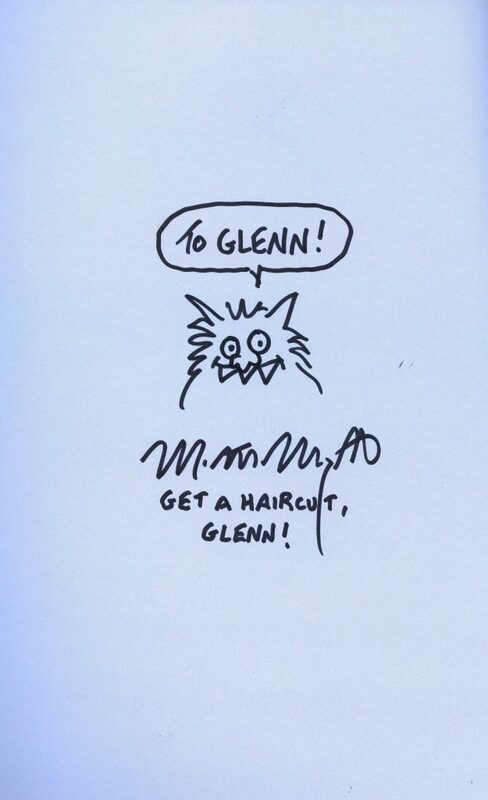 Which brings me to the book I’ll be recommending this week…EVEN MONSTERS NEED HAIRCUTS written and illustrated by Matthew McElligott published by BLOOMSBURY CHILDREN’S BOOKS in 2010. This is a smart and comical story about a little boy who sneaks out of bed at night and cuts the hair of monsters down at his father’s barbershop. Everyone – and everything— from werewolves and Cyclopes to the Frankenstein monster and Medusa come down to get a trim. I really enjoyed this monsterrific picture book. It had the sense of humour that Charles Addams and Gahan Wilson pioneered with the warmth of GOODNIGHT GOON: A PETRIFYING PARODY. 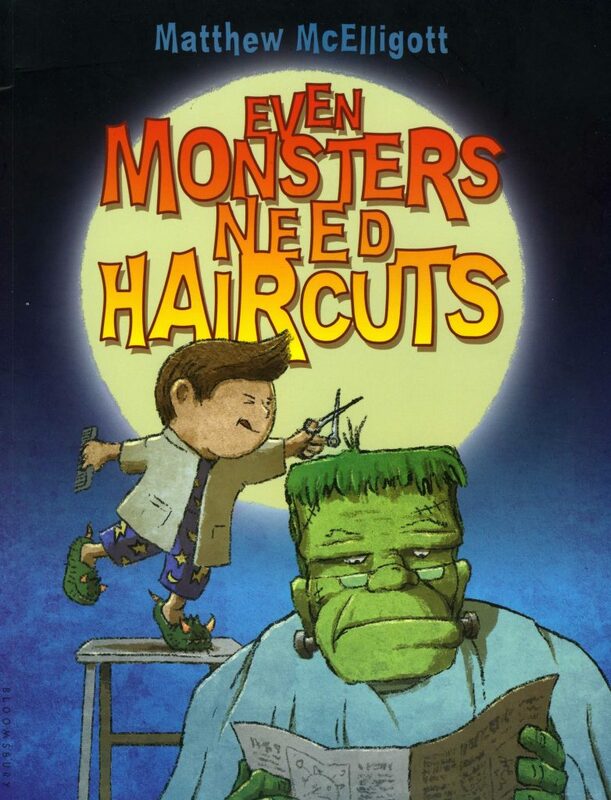 Excellent companion books to EVEN MONSTERS NEED HAIRCUTS would be, “MADDIE’S MONSTER DAD” (which I’ve previously recommended) and both FRANKENSTEIN TAKES THE CAKE and FRANKENSTEIN MAKES A SANDWICH (which Monica S. Kuebler recommended on RUE MORGUE TV‘s wonderful “10 HORROR BOOKS for Young Readers”). EVEN MONSTSTERS NEED HAIRCUTS had been on my wish list for some time. Knowing this my mom bought it for me at the Rochester Children’s Book Festival and had it inscribed with a special message. You can get your own edition on AMAZON for $5.50, plus free shipping, used, in “Very Good” condition. EVEN MONSTERS NEED HAIRCUTS may not have inspired me to get a haircut, but it did inspire me to recommend it in this column. Enjoy!